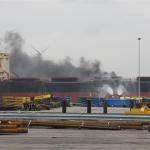 The 289 meter long, 170082 dwt bulk carrier New Katerina caught fire with berthed in Amsterdam, Netherlands. 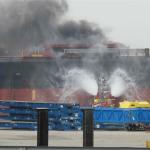 The fire started on an excavator working the vessel’s hold. 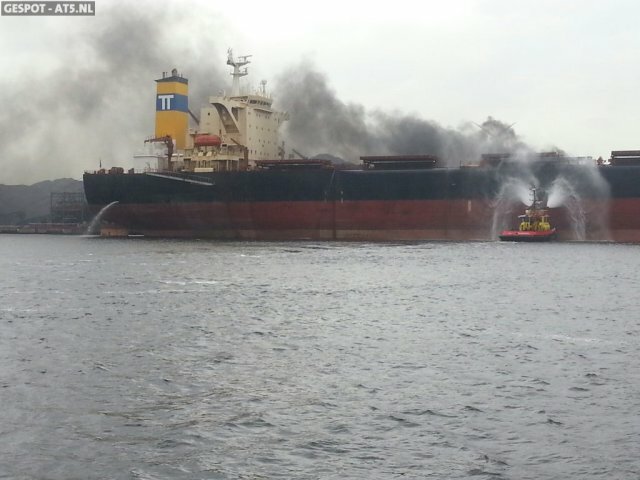 The New Katerina, loaded with coal, released dense smoke. The crew was able to escape the vessel with no injuries. 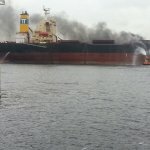 The local fire brigade, assisted by fire boats, were able to bring the blaze under control a few hours later. No reports of pollution released. 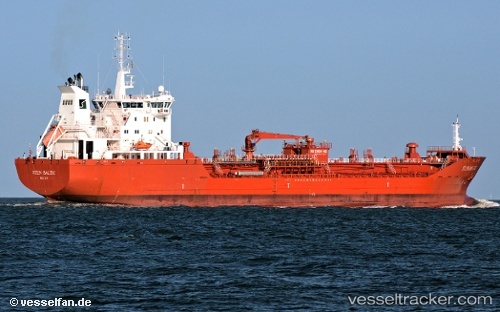 The 144 meter long tanker Sten Baltic became disabled near Varlaxudden, Finland. 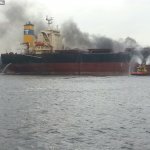 The tanker had suffered engine failure and the vessel’s steering had also malfunctioned. 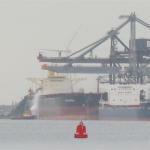 The crew alerted authorities in Helsinki and dropped anchor. The crew began repairs while authorities dispatched a Coast Guard vessel and pilot boat to the scene to monitor the situation. The crew was able to restart the engine a short time later. The Coast Guard vessel and pilot boat escorted the Sten Baltic to Kalbådagrunds where the vessel could be further inspected. No reports of injuries, damage or pollution released. The Sten Baltic was en route to Riga from Sköldvikhamnen. 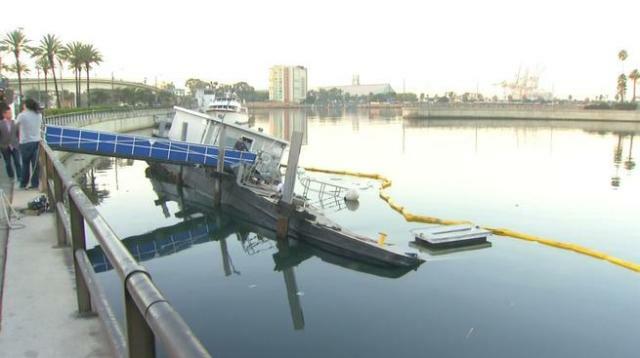 The 110 foot long maintenance barge partially sank at it’s berth in Long Beach, California. The barge suffered water ingress and developed a list. Local crews were able to shut off the diesel fuel flow to the barge. 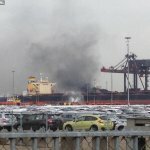 No reports of pollution released. Authorities placed booms around the barge to contain any pollution. Reports state salvage crews will attempt to refloat and stabilize the barge while divers inspect the hull for leaks. The barge is used as a fueling station for the ferry Catalina Express which services between Long Beach and Santa Catalina Island.